This is the first post in the new series on the blog where I analyze House MD episodes based on the content and scientific interpretation of the same. It is going to be a difficult ride trying to analyze a crazy medical drama in true scientific light, but then again, who said that the things worth doing in life were ever easy? In this post I will take up the first episode of the first season (that’s right, I am going to start right at the very beginning and then work my way through!) and discuss a medical ethics debate which has baffled us for several years now. In this episode, House treats a patient of neurocysticercosis wrongly several times before reaching the diagnosis (rather fortuitously) towards the very fag end of the show. However, the patient is so bedraggled, that by now she refuses all forms of treatment and just wants to go home and die with some dignity. Having worked for a considerable amount of time in a strained critical care unit, I realize the amount of stress patients and their families go through when there is no medical hope of recovery. In some cases, death seems to be the most humane way out of the ordeal. In my neck of the woods, neurocysticercosis is not a very uncommon diagnosis, and I have seen half a dozen cases of this already in my brief career, so a patient dying for lack of treatment for this is unheard of. In the western world, thanks to the hygiene and general levels of good health, this is a rare case. But that is not what I am going to argue about in this post. This post, as the title says, is about dying with dignity. Although I love the show and in several ways identify with House, I beg to differ on the rather pessimistic view he has on death. Quality of death is almost as important as the quality of life in my book, and in some cases, assisted death is like a blessing for the patient and his family. The authors of this study (1) would tend to agree with me too. Physician Assisted Death (PAD) was legalized in Oregon in 1997 and since then 460 people have died by lethal injections. This study was a cross sectional, retrospective, questionnaire based analysis of the quality of death and dying, as reported by the family members of 52 people who received lethal injections, 34 who requested but were refused and 63, who did not pursue PAD. The sampling was largely based on voluntary participation and hence, there is a great chance that there is a selection bias in the study population, since the disgruntled ones are more likely to ‘have nothing to do with it’ and hence opt out of the study. Ideally, this study should have been designed as a randomized controlled trial, following up the different groups of patients over time (after allocating them to their intervention cohorts: PAD allowed, PAD refused and PAD not applied for). The family members who had lost a loved one between 4 weeks and 3 years were selected to minimize recall bias, but with a thing as sensitive and qualitative as the quality of death, it is difficult to find an ideal time frame. While rushing in too early would mean that the bitterness of the loss would taint the responses, waiting too long would result in over-romanticizing of the outcome, leading to biased responses. This is a dicey issue and I was wondering if it could lead to a system where one can think of a simultaneous, user driven information collection network where the family member would be providing experience of their loved one’s death in real time. This would mean that it would be easier to develop a controlled trial in this manner. One good thing about this study here is that there is a control group in the study to match the results seen with the PAD. The 63 members not pursuing PAD would be a good control group to compare results with, hopefully, if they were well matched. The instrument used to elicit the results is the Quality of Death and Dying and it used an older version instead of the newer, updated one. How this may have affected the results is, however, a question which would be open only to conjecture until similar studies with the newer scales have been repeated. The questionnaire relies on Likert scale to analyze the results and while it is difficult to translate a qualitative response into a quantitative form, I have my reservations regarding the instrument in general. Issues like “Transcendence” are religio-cultural concepts with diverse and complex controlling factors. It would therefore, be a very culture specific result this study yields, and cannot be extrapolated to universal popultions. Those choosing PAD were in some ways more prepared for death in that they were more likely to have said goodbye to loved ones, yet less likely to have had a spiritual service before death than those who did not. Previous studies have demonstrated that as the importance of religion increases, interest in PAD lessens. Furthermore, there was a trend toward significance in the positive impact of discussion of end of life wishes on the dying experience with those who received a lethal prescription reported by family members as finding greater positive effect of end-of-life discussions on the dying experience than those who did not pursue PAD. And so it boils down to the fact that essentially, PAD paves the way to a more comfortable death, if nothing else. House may have been wrong to force his will to coerce or force the patient into taking treatments (which, admittedly, he did not do, not at least in this episode), but he would have been wrong. I am not a fan of the argument that indiscriminately allowing PAD would lead to lowering of the quality of end-of-life care (3). And of course, there is the rather disturbing question of how we shall manage the power to play with lives: it would not only bring physicians one step closer to playing God, it would be a terrible mess in a nation like India where there are minimal monitoring and ample opportunity to abuse such a system. 2. Steinhauser KE, Clipp EC, Tulsky JA: Evolution in measuring the quality of dying. J Palliat Med 2002;5:407–414. 4. Patrick DL, Starks HE, Cain KC, Uhlmann RF, Pearlman RA: Measuring preferences for health states worse than death. Med Decis Making 1994;14:9–18. 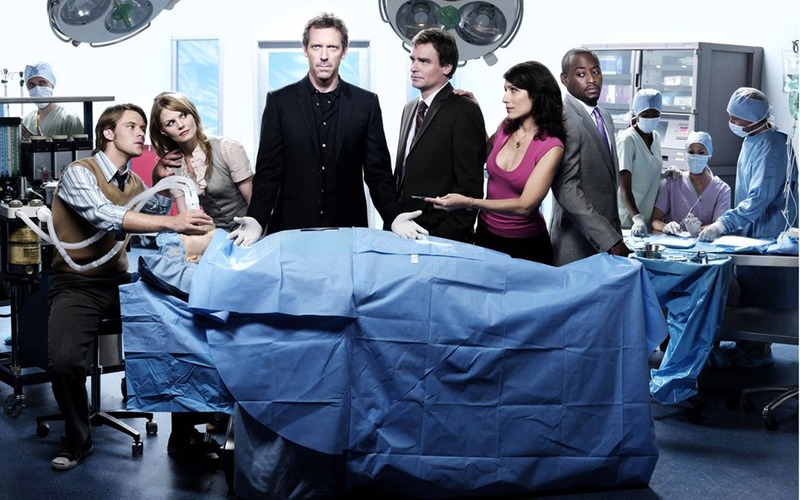 Tags: House MD, Medical Ethics, Physician Assisted Death, PostADay2011, Research Blogging. Bookmark the permalink. Will love to go through all of the posts in this series, myself being such a fan of the ‘series’. Thanks for the nod, mate. Tried accessing your blog, but your user name isn’t linked. And you haven’t posted in a while: what’s going on? Umm. Yeah, I have been busy for the last half a month, shuttling between Siliguri and Kolkata in regular intervals. So could not post in the rhythm am used to. But don’y worry, I will be back soon. Have got loads of plans to initiate. Did you go through the authors interview series in my blog? More to come. I will be doing few Rock band interviews too! An RCT with “intervention cohorts: PAD allowed, PAD refused and PAD not applied for” !!! To make this more appealing, add your personal experiences..Like in this post you might well have added your experiences with the CCU patient that taught you and us the ‘quality of death’.. Interesting argument! I wanted to do that, but was worried of the patient confidentiality issues. But will try to put in some anonymized personal life experiences from the next post onwards. Thanks for taking out time to read and comment on the post! A blog is not worthy of that post. That should be a paper published in a medical journal. As for the study you discussed, i feel that although it is not possible to ask a dead person how their experience of death was, what is important is the last few weeks/days of the patient before they die. That is the experience of death. So maybe it is a good idea to conduct a study on terminally ill patients, in their last days. There can be 2 control groups: one who are denied the lethal injection and suffer, and the other who are administered the injection. and the experience of suffering (without or without dignity as per the opinion of the patient) with the experience of quietly dying can be compared and studied. After I initially commented I clicked the -Notify me when new comments are added- checkbox and now every time a remark is added I get four emails with the identical comment. Is there any method you can remove me from that service? Thanks! Elsie, sorry for this, but I don’t seem to have your name on the comments thread! Hey Pranab, nice explanation here, you did a good job on analyzing the medical drama in a true light! Which of your book references did you like the most? I love your analysis man, I would never come to that idea to really analyse a movie series. But it s very interesting, and more people should do it. Even when its still entertainment, so its not reality, but its still nice to compare. More Pranab!